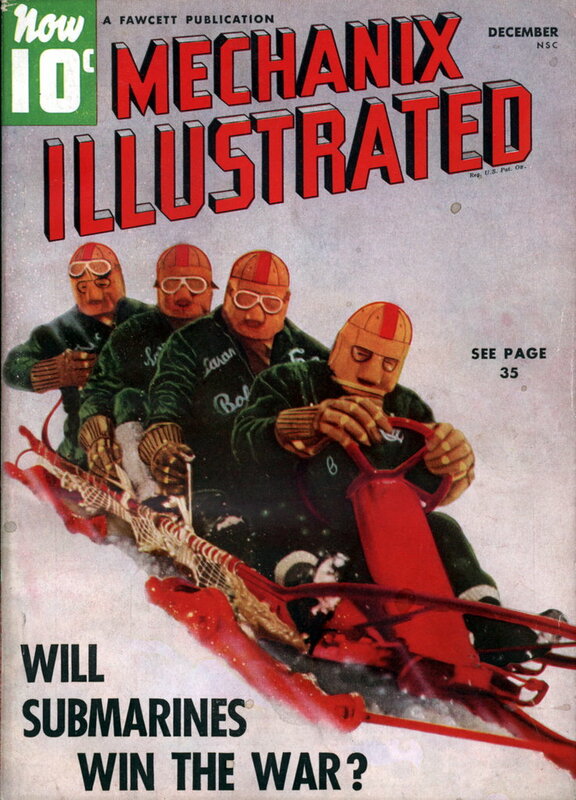 This reminds me of the ill-fated Rotary Rocket company. The rocket-shooters are going to pitch in again this coming summer. 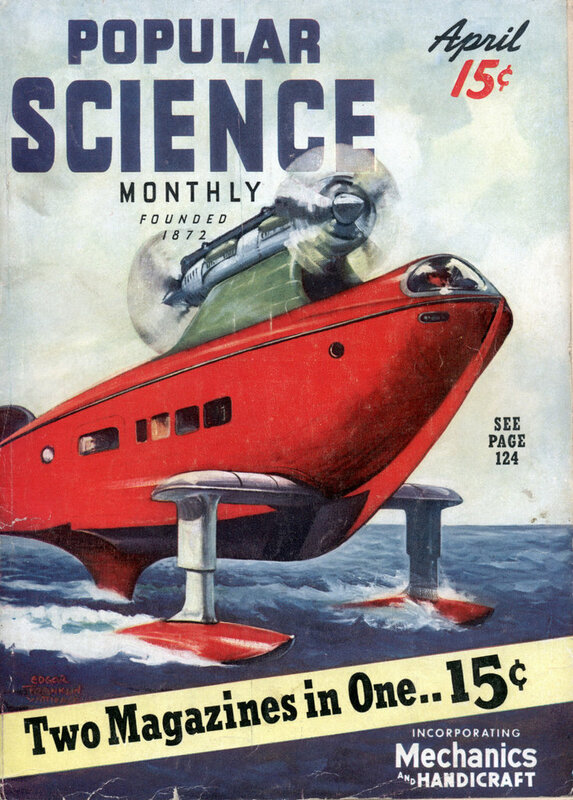 Undaunted by reverses and tragedies during the past year’s experiments, the rocketeers are tackling their work with renewed vigor and ambition, plus improved apparatus and chemicals. Ernst Loebell, famous German engineer and rocket designer, promises to bring the rocket engines to their greatest point of achievement next summer. 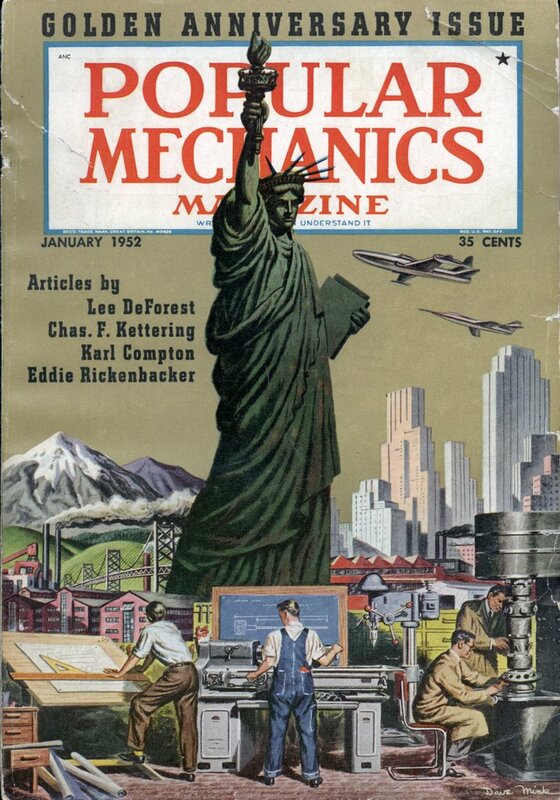 He is now in this country and is an active worker in the Cleveland Rocket Society. 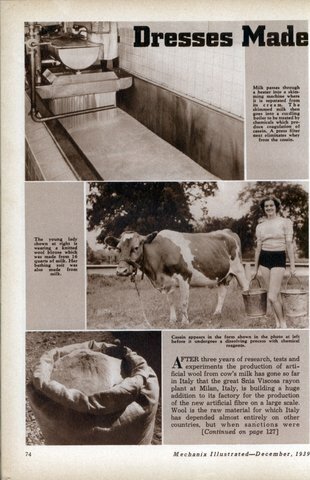 Loebell has been carrying on bis preliminary experiments on the big Hanna estate in a suburb of Cleveland. 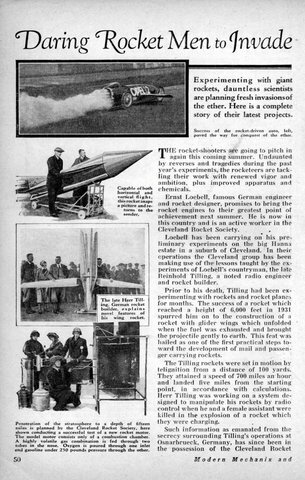 In their operations the Cleveland group has been making use of the lessons taught by the experiments of Loebell’s countryman, the late Reinhold Tilling, a noted radio engineer and rocket builder. Prior to his death. 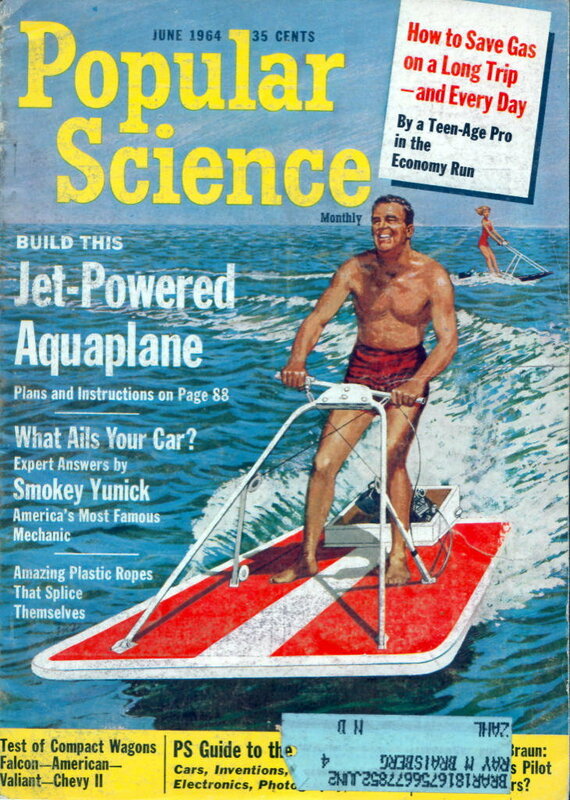 Tilling had been experimenting with rockets and rocket planes for months. 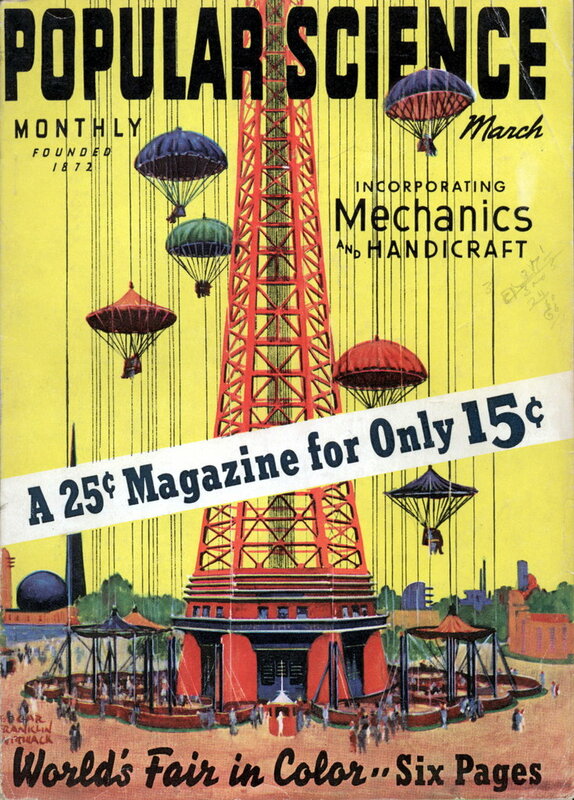 The success of a rocket which reached a height of (6,000 feet in 1931 spurred him on to the construction of a rocket with glider wings which unfolded when the fuel was exhausted and brought the projectile gently to earth. 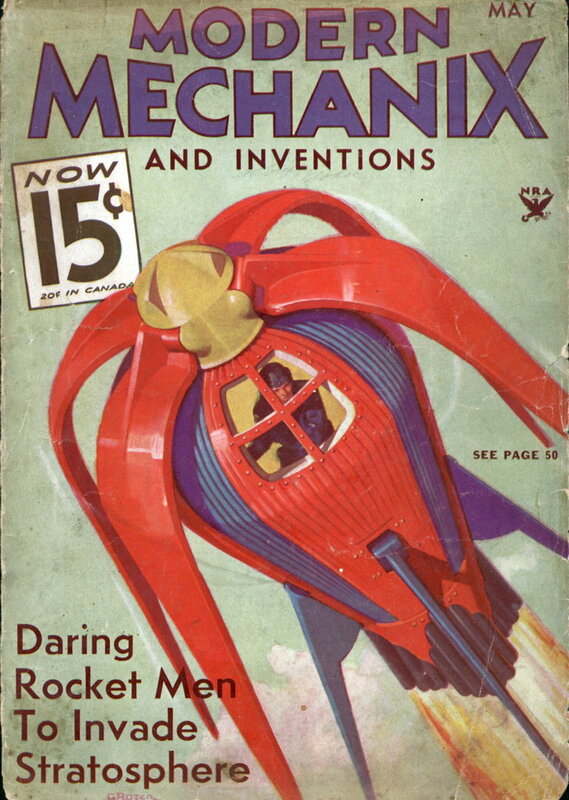 This feat was hailed as one of the first practical steps toward the development of mail and passenger carrying rockets. The Tilling rockets were set in motion by telignition from a distance of 100 yards. They attained a speed of 700 miles an hour and landed five miles from the starting point, in accordance with calculations. Herr Tilling was working on a system designed to manipulate his rockets by radio control when he and a female assistant were killed in the explosion of a rocket which they were charging. 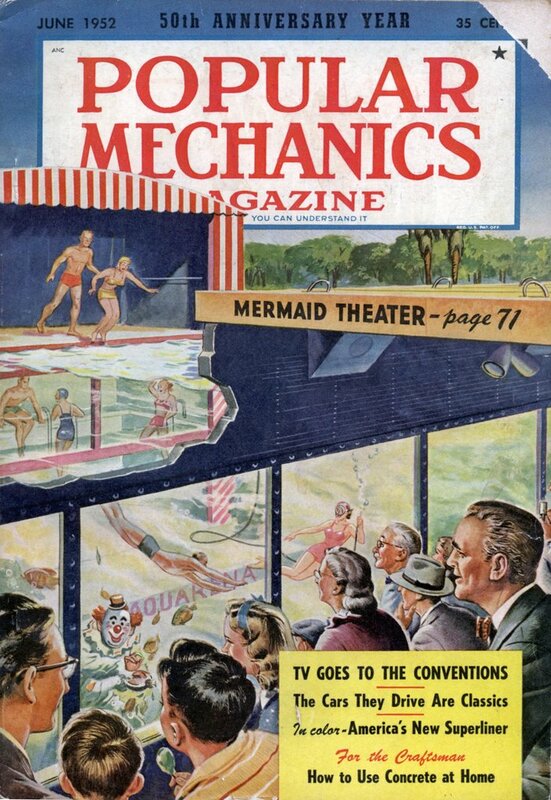 Another ad nestled in among a page of ads in the back of Popular Mechanics, advertising the benefits of advertising. 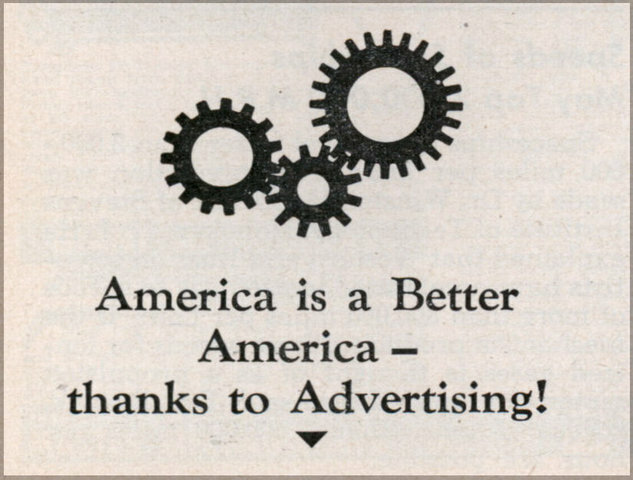 America is a Better America – thanks to Advertising! 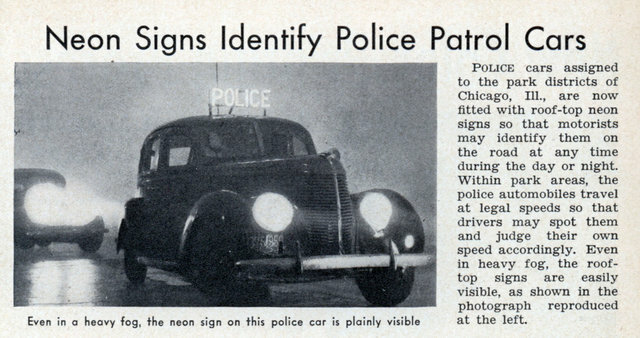 American citizens are better informed – thanks to Advertising! ONE of these days, you’ll sit down after supper, flip the dials on your home TV tape recorder, and watch a rerun of that afternoon’s base-ball game. Recently I spent an afternoon trying out a prototype model of such a machine made by Fairchild Camera and Instrument Co. I recorded programs off the air â€”both pictures and soundâ€”while I was watching the program. Immediately after the show, I played back the recording while the images of the original telecast were still fresh in my mind. 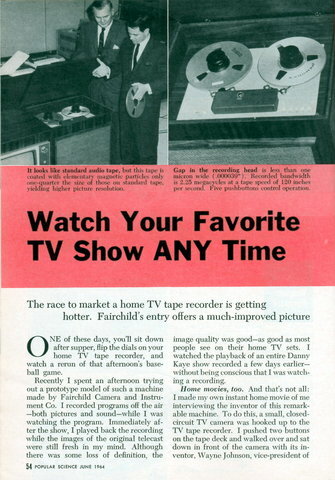 Although there was some loss of definition, the image quality was goodâ€”as good as most people see on their home TV sets. I watched the playback of an entire Danny Kaye show recorded a few days earlierâ€” without being conscious that I was watching a recording. Smaller than a typewriter, a miniature self-contained telegraph “office” provides the executive with 24-hour telegram service. Telegrams are sent and received simply by pushing a button. They don’t even have to be typewritten. You simply write out the message on a blank, wrap the blank around the drum of the machine and turn it on. A scanner views the message and sends it to the addressee where an exact copy is reproduced by an identical machine. Transmission time of about 2-1/2 minutes is required to handle a full message. The call is routed through the main office of Western Union, which directs the message to its destination and bills the sender. 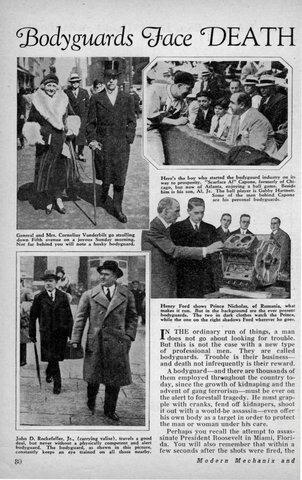 What I found really interesting about this article is the picture of Roosevelt on the second page. He was generally tried to hide the fact that he had Polio from the public. But if you look at that picture it’s obvious that he’s holding the man on the right for support. It also looks like he is using his other hand to support him self on a cane and possibly has leg braces under his pants. Rarely do you see unobstructed pictures of F.D.R standing. IN THE ordinary run of things, a man does not go about looking for trouble. But this is not the case with a new type of professional men. They are called bodyguards. Trouble is their business Ã¢â‚¬â€ and death not infrequently is their reward. BREED CHINCHILLAS for the fur market. 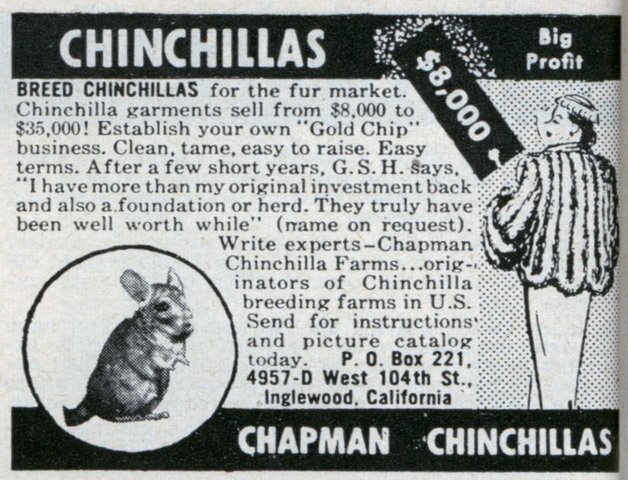 Chinchilla garments sell from $8,000 to $35,000! Establish your own “Gold Chip” business. Clean, tame, easy to raise. Easy terms. After a few short years, G.S.H. says, “I have more than my original investment back and also a foundation or herd. They truly have been well worth while” (name on request). Write experts – Chapman Chinchilla Farms… originators of Chinchilla breeding farms in the U.S. Send for instructions and picture catalog today. 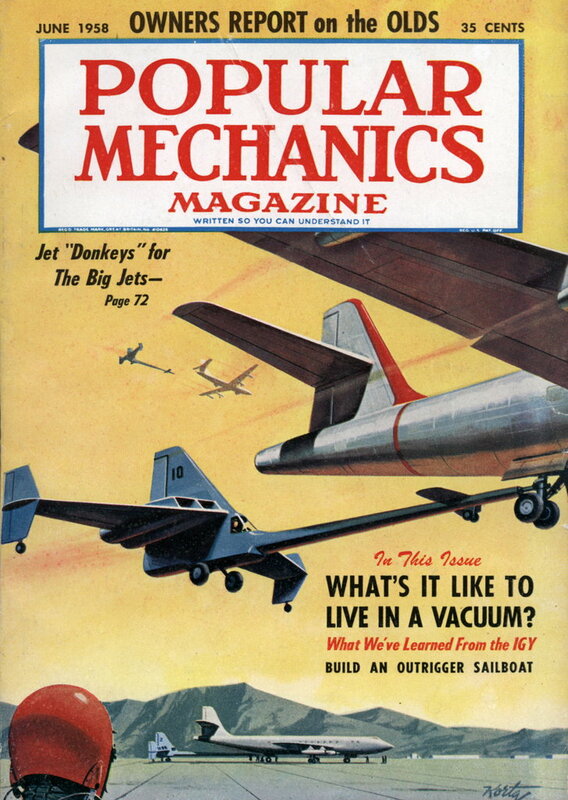 Build your own JET ENGINE! 3. Both of above in one order $3.75. SEND NO MONEY. Order both at once $3.75 C.O.D in USA plus c.o.d postage. Send check or Money Order and we pay postage. Get other information too. Rush Order. 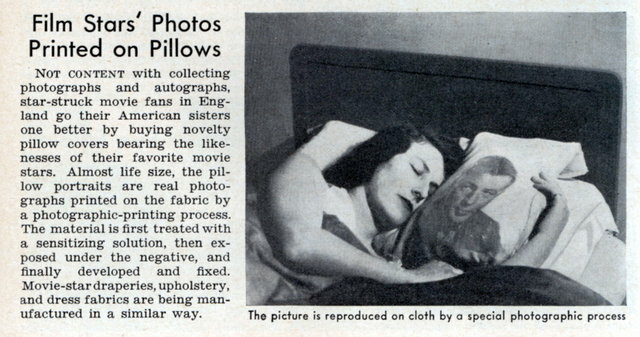 Not content with collecting photographs and autographs, star-struc movie fans in England go their American sisters one better by buying novelty pillow covers bearing the likenesses of their favorite movie stars. Almost life size, the pillow portraits are real photographs printed on the fabric by a photographic-printing process. The material is first treated with a sensitizing solution, then exposed under the negative, and finally developed and fixed. Movie-star draperies, upholstery, and dress fabrics are being manufactured in a similar way.